America’s national anthem holds a special place in the nation’s history. While all national anthems are patriotic, the Star Spangled Banner was written at a time of great upheaval when the nation’s future hung in the balance. When the dust cleared, the young nation showed the resolve to survive and had a new song to inspire generations to come. The inspiration for the anthem is featured on the 2013 5 oz Fort McHenry ATB Silver Coin from Silver.com. Extremely limited availability: just 389 coins in this grade! Face value of $.25 (USD) is backed by the US government. Graded a near-perfect MS69 by the Professional Coin Grading Service. The coastal star-shaped fortification on the peninsula in Baltimore Harbor known as Fort McHenry saved a fledgling nation from certain disaster. Just a few decades removed from victory in the Revolutionary War, the Americans found themselves defending against a renewed British effort to colonize the continent. The detachment of American soldiers at Fort McHenry held the line against a British Royal Navy bombardment to stall the British advance. From a boat in the harbor, composer Francis Scott Key witnessed as the British continually bombarded the fort. But when the sun rose the next day, the American flag still flew high above. Key penned the Star Spangled Banner, which would eventually become the national anthem. The reverse side of these coins depicts that famous battle, as bombs can be seen bursting in air over the ramparts of Fort McHenry. The American flag is visible, still flying high atop its flag pole within the fortress. On the obverse, Founding Father and first president George Washington is featured in left-profile relief. Each of these coins is available with its full, original luster, and no more than two detracting flaws, contact marks, or blemishes. 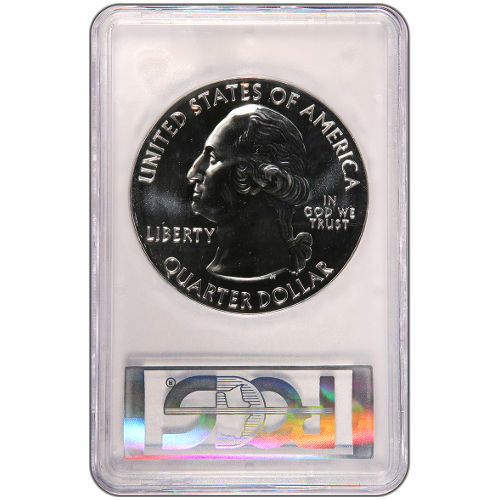 The deeply-mirrored, proof-like finish is unique on a bullion coin. We encourage all Silver.com shoppers to reach out with questions. You can contact our associates at 888-989-7223, connect with us online using our live web chat, or send us an email. 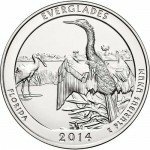 If you are interested in similar products, check out the America the Beautiful Coins page of Silver.com.